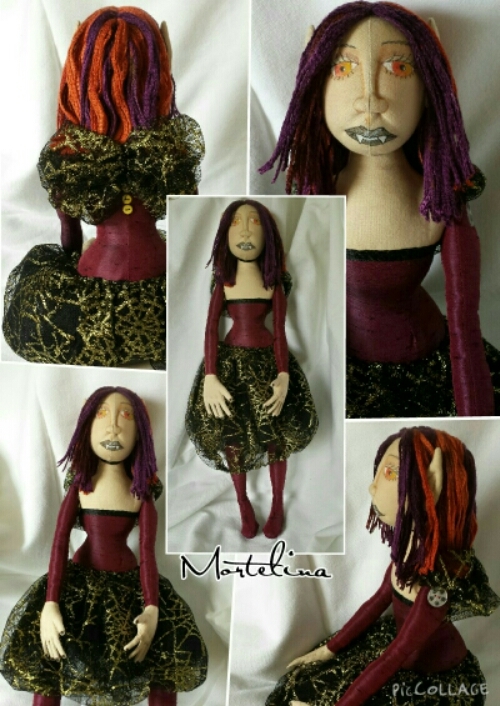 Meet Mortelina, my first cloth art doll that I’ve offered up for sale! So far I’ve made a few but they have been either part of the learning process or a commission. 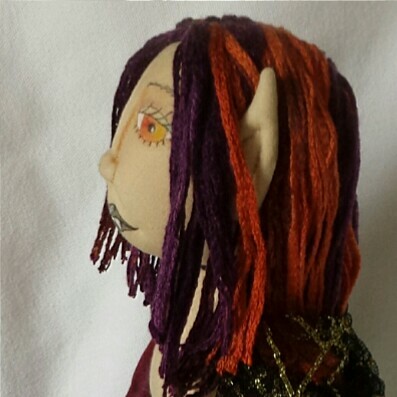 She is most adamantly one of a kind, although I do love those pretty orange eyes, I may do those again on another doll in the future. You can read all about her quirky little backstory on my Etsy listing, where she’s up for sale. I wanted to talk more about the process because how these dolls are put together is just amazing! Everything is stitched using the smallest machine stitch possible, the machine gets jammed occasionally and can be a bit tricky at times! Getting stuffing in through the teeny openings is made a bit easier with the use of a handy little pair of hemostats. The face is really cool to do. You start off with a flesh coloured ball, and sculpt out the features using tiny stitches to pull the nose out, and the eyes and mouth in. Then, the features are drawn and painted on and suddenly you have this amazing little face! Its all about personal taste, and lots of options suits that very well. Or all individual fingers. These are exceptionally tricky as they have to be stitched and trimmed very carefully, and then you have to turn the fabric inside out! The fingers are then filled with chenille sticks which makes them nice and bendy and pose-able. They are also then needle sculpted a bit to make them more realistic. Shoulders and hips are jointed using a very long needle and thread, sewing back and forth through the limbs and torso, adding a button in the process. A gather is put in to make a knee. Once your body is in place, with head atop, the fun starts. Dressing the doll brings out the character that you have started with the facial features. Tulle, lace, satin, ribbons. A big stash of embellishments are a must. Then the hair, this pulls the whole doll together and solidifies her character. So satisfying! 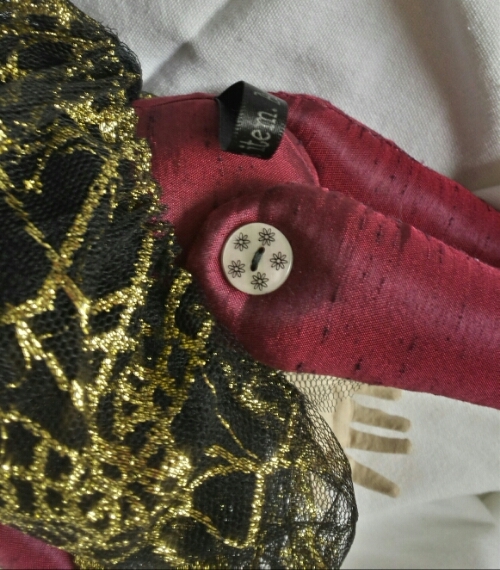 Of course other embellishments can be added, wings, butterflies, accessories etc. 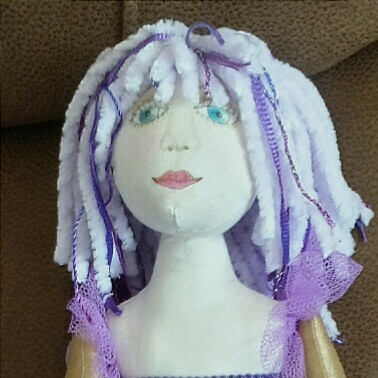 The question of CE testing reared its head at the beginning of my art doll journey. This has been part of the reason why I’ve not offered any for sale until now, I wanted to be utterly sure. After extensive research and conversations with my local trading standards I am very happy to say that my dolls are most unarguably collectors items and have no need of CE testing. To be completely belt and braces on the matter, I am discreetly sewing a label into every doll to that effect. 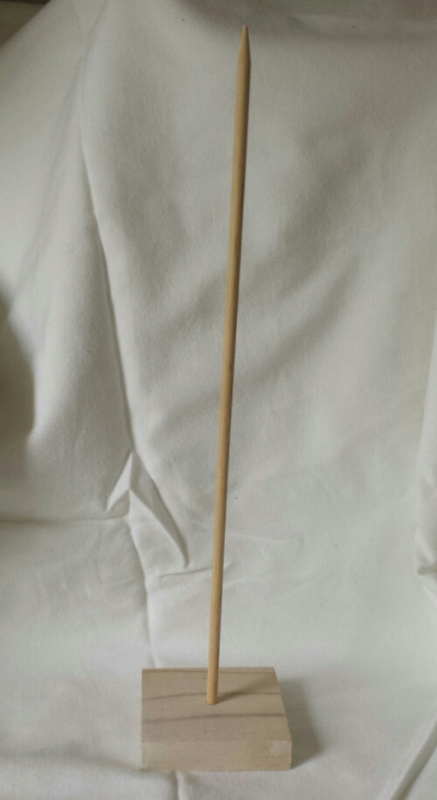 It was also suggested that I attach them to a stand but I feel that a customer, having bought a jointed doll, may not necessarily want to fix her in a standing position so I have offered that as an additional extra. Wow, so much work. But what a result at the end of it. Mortelina is fab!